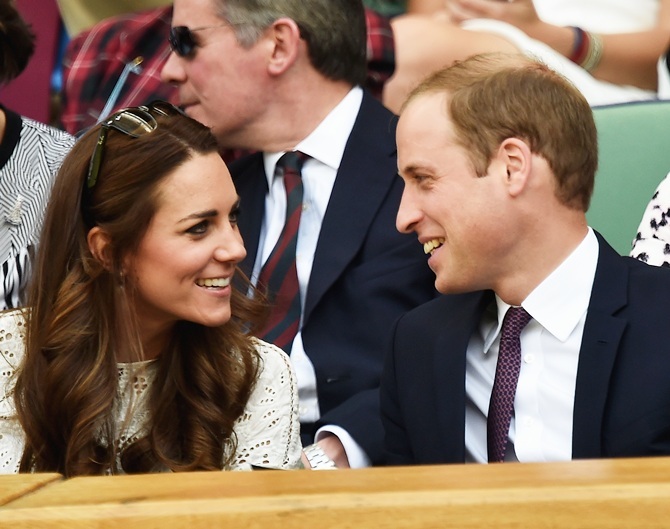 Britain's Prince William and his wife Duchess of Cambridge, Catherine were in the Royal Box as the defending champion Andy Murray was dethroned out of Wimbledon on Wednesday. 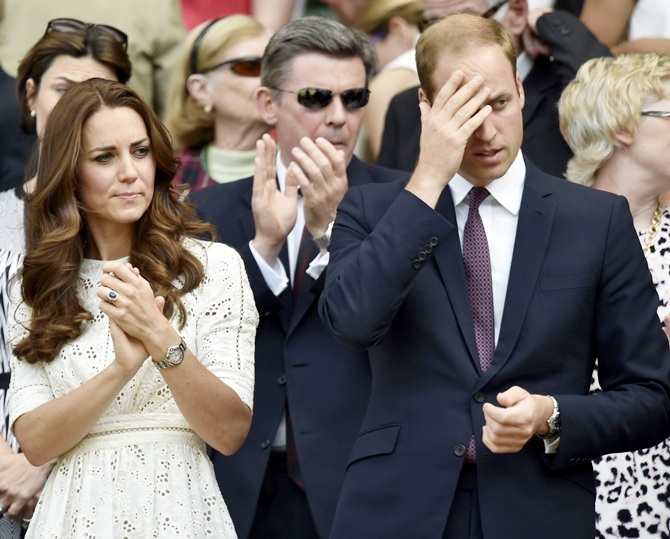 The Duchess of Cambridge was wearing a white summer dress as she watched the match. Grigor Dimitrov broke British hearts by ending Andy Murray's reign as Wimbledon champion with a sublime and serene 6-1 7-6(4) 6-2 victory in the quarter-finals on Wednesday. 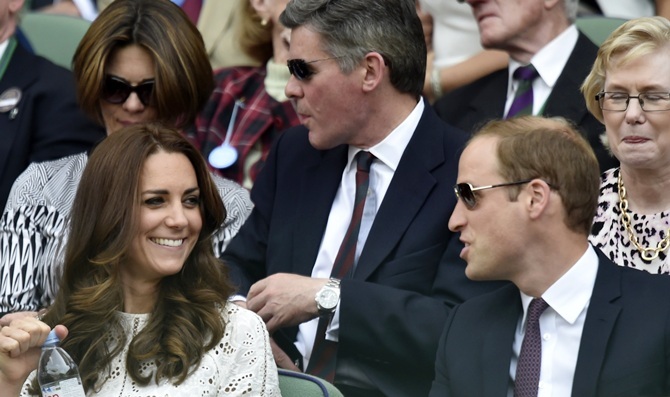 Catherine, 32, donned a summery lace dress which was apt for tennis and cheered on Murray to no avail. The man who had sparked wild celebrations around the country a year ago when he became the first home-grown men's champion in 77 years, appeared to sleepwalk through a one-sided first set, threatened to fightback in the second and was simply outclassed in the third. But Catherine's white number just won it. The result ended Murray's remarkable run of winning 17 successive matches at the All England Club, dating back to the 2012 London Olympics, as he bowed out in two hours and one minute. "I am excited and just happy I got through that match in straight sets. It's never easy coming to play Andy in front of a home crowd and I am just fortunate and happy," Dimitrov said after preventing the British hero from reaching his sixth successive Wimbledon semi-final.